A third sequel 22 years in the making. Jurassic World: Fallen Kingdom is now in cinemas and, much like its hugely anticipated and ridiculously successful predecessor, it's divided critics and audiences alike. It's turned out to be yet another hit or miss movie that pales in comparison to the original, although it's far better than the insufferable second and third movies in the franchise. 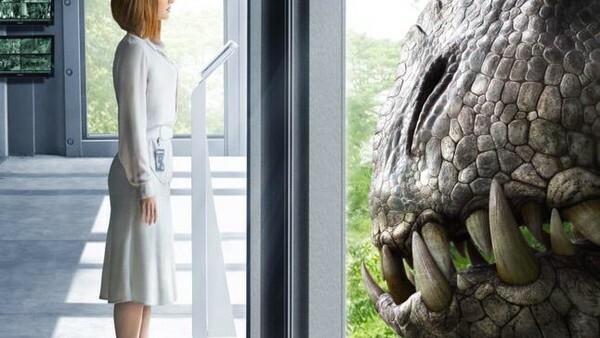 In this regard, it has a fair amount in common with Jurassic World, since both are very mixed bags in terms of quality and have both been met with similarly ambivalent critical responses. Now that Fallen Kingdom has arrived, it's the perfect time to revisit Jurassic World and see how it holds up. Watching it three years later with the dust having settled, it becomes clear that Jurassic World is still a solid three-star movie with plenty of good moments and a lot of godawful ones (high heels anyone?) that drag it down. A second viewing reveals there were plenty of unfortunate mistakes that the film made - not all of them were corrected by Fallen Kingdom - but also plenty of good work its sequel was able to build on.